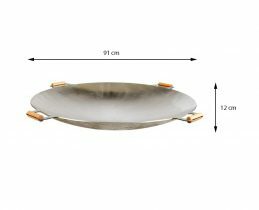 GrillSymbol PRO Wok Pans are mostly suitable for caterers, catering enterprises and restaurants. 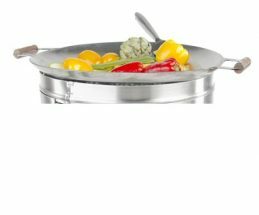 Like cast Iron frying pans , our woks are made to last forever. 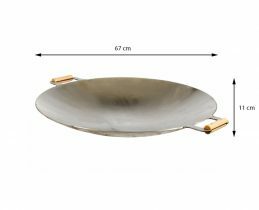 Thick bottomed deep woks are good for making Asian food, French fries, spring rolls, tempura, fish and chips, falafels, chicken wings, onion and calamari rings, etc. 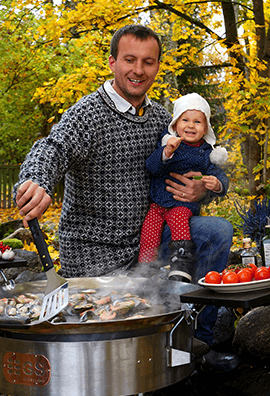 GrillSymbol PRO Woks are ideally suitable for use in an outside kitchen, on a campfire or on a gas burner.